Doilies are delicate and tasteful. They are wonderful for adding a vintage touch to your home decor. You can place them under a potted plant or a vase for a lovely table accent that will give your room a whole new look. 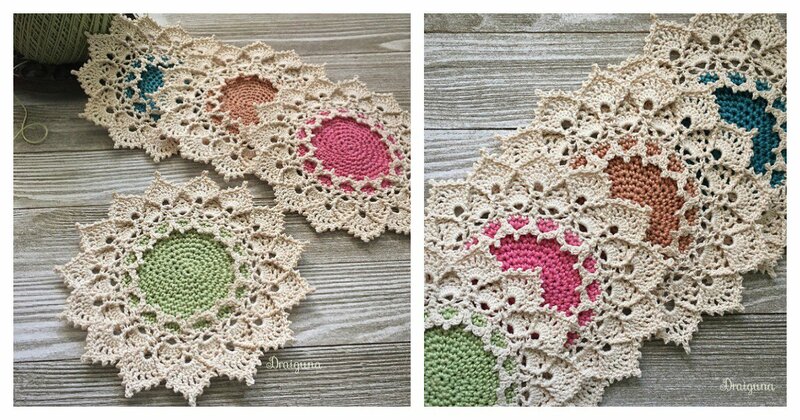 This Sunmote Doily Free Crochet Pattern is easy to crochet. It is great for beginners because it works up quickly and doesn’t require much yarn. It also makes a wonderful gift for anyone on your list. If you want to give your doilies a more modern look, you can use brightly colored yarn or multi-colored yarn to create a look that’s fun and funky. Happy crocheting.